Kiki Coral can see the future—can she save a friend from his dangerous fate? Kiki Coral has an amazing gift: she can see the future. She doesn’t have visions very often, but they are always surprising! 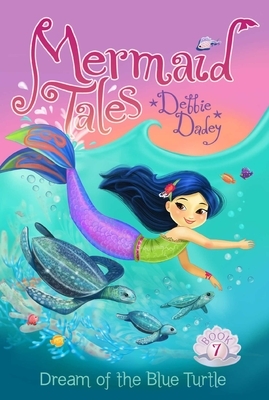 When Kiki sees a vision of her classmate Rocky Ridge coming face-to-frightening-face with a gigantic leatherback turtle, she is frightened to the tip of her shiny purple tail. Can Kiki save Rocky from his dangerous fate? What if no one in Trident Academy believes her scary prediction?